In 2010, China Miéville’s Kraken served up, among many other delightfully weird story elements, a division of the London police that specialized in crimes involving the supernatural world, and in the years since reading that book I’ve noticed a few other books that place the eldritch London police procedural front and center. (Note: I’m not counting Charlie Stross’s “Laundry Files” series, because that’s more about combining supernatural horror with a particularly British type of spy thriller.) I’ve been meaning, for example, to dive into Ben Aaronovitch’s Rivers of London and its sequels for a while now, and I’m doubling down on that intention, now that I’ve recently read the two books in the series that might be its most direct competition. Now, it happens that the initial gimmick of The Severed Streets—a series of murders that may possibly have been committed by the ghost of Jack the Ripper—has already been the central premise of Maureen Johnson’s YA paranormal thriller The Name of the Star. 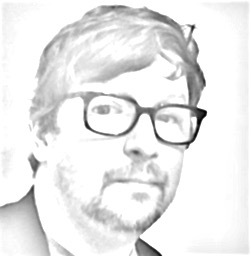 But Cornell takes that plot kernel and cultivates a completely different story from it, not least of all because he’s coming at it from the perspective of a native Brit for whom gritty ’70s cop shows like The Sweeney are almost certainly a formative influence, one that’s jokingly acknowledged here and there. 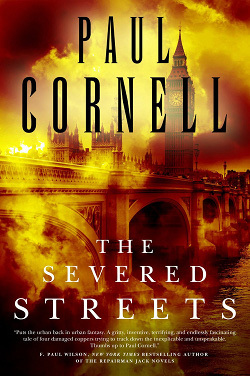 Cornell’s novel is very much plugged into the contemporary unrest over economic inequality, and it only takes a bit of prodding on his part to create a fictional London on the brink of civil chaos that (supernatural aspects aside) feels plausible. He’s also very effective at showing how his four main characters cope with the discoveries they’re making as they probe the contours of their new territory. There’s a lot of information for them to process, as well as personal crises to work through—and Cornell manages to keep all these balls in the air while moving forward with nearly consistently effective pacing. Also, Neil Gaiman shows up for absolutely perfect reasons, managing to make even an extended expository dialogue entertaining… although, by the time he heads offstage, you may never be able to look him in the eye should you ever meet.